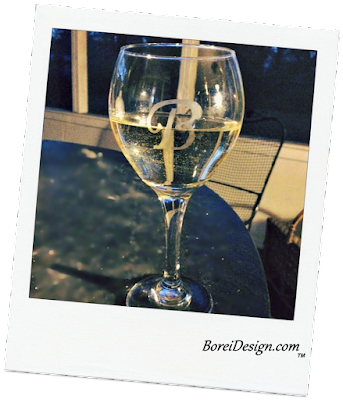 How to Create Beautiful Etched Monogram Glassware On A Dime! Want to give inexpensive glassware a posh look? 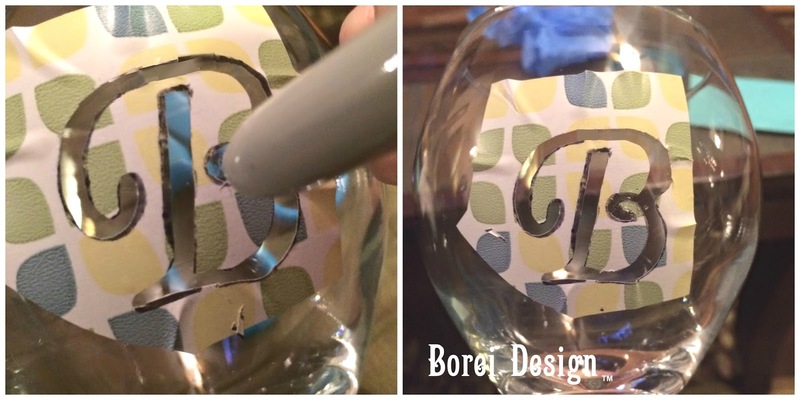 Here's how to etch glass the easy way using diy stencils. I have a love-hate relationship with wine glasses and glassware in general. I love all the creative, beautiful pieces that are available for purchase but they are constantly being broken in my home. I bought an absolutely gorgeous set last year that was pretty pricey. I finally cut my losses and gave up on replacing the individual glasses as they broke. After some thought, I decided to replace them all at once with an etched monogram set. After pricing etched glasses at places like Anthropologie (see Etched Monogram Glass) and Ballard Designs (see Riviera Glassware, Milano Glassware and Classic Barware, I quickly realized that if I purchased them already made, I would most likely be stuck in the same expensive cycle of replacing pieces as they break. 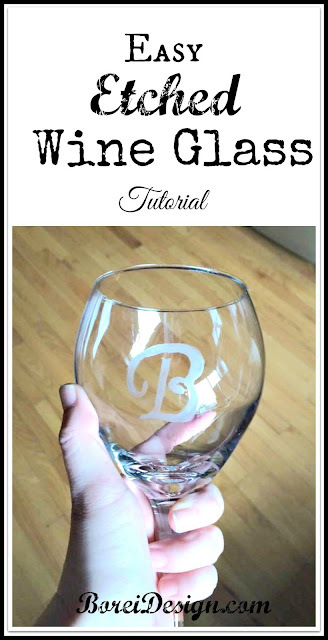 I've never etched glass before but I became determined to create my own using sturdy plain glasses of my choosing. Imagine my delight when I found the perfect, sturdy, candidate at a local dollar store of all places! Yaaaay! 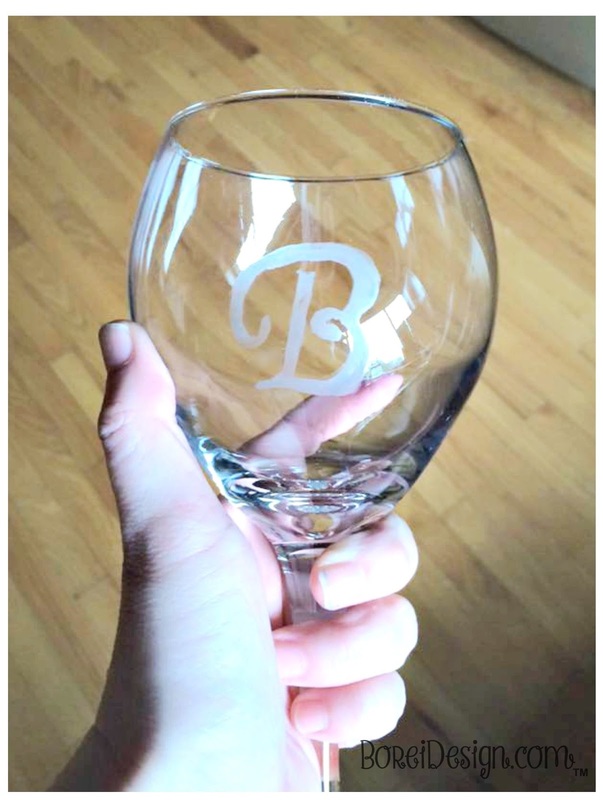 I was happy that I had solved the actual glass problem but thought I would probably be scratching glass for the rest of my life in order to create the monogrammed set I had in mind. Thankfully I found a product that does all the etching work for you in no time! Unfortunately, I also found out you are required to buy disposable stencils, made specifically for etching. Pfffft! No way! I decided to DIY those as well. Here's how I created the etching stencils and a new set of monogrammed wine glasses that can be replaced quickly for very little expense. Disposable gloves-I ended up not using any when I determined I wasn't getting any of the etching cream on my hands. However, I do recommend using them as a precaution. 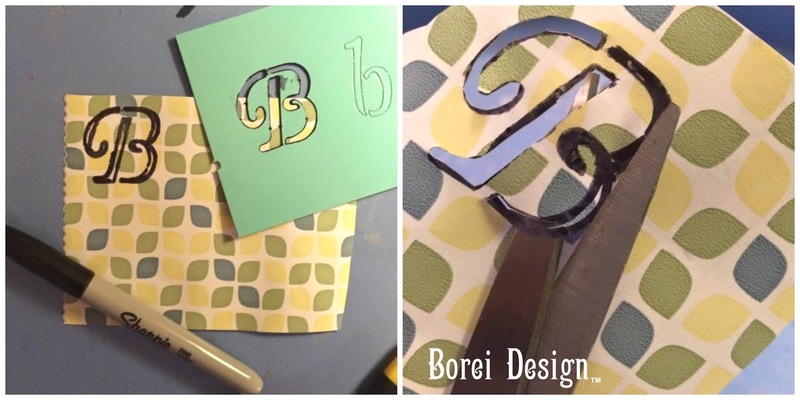 *Note: I purchased all my supplies at a local dollar store with the exception of the stencil and etching cream which were purchased at a local crafts store. I purchased one 3 ounce bottle of etching cream, did 6 glasses and had PLENTY leftover to use on any future replacement pieces I may need. .
1. Clean glass thoroughly to remove finger prints, lint and etc. 2 . Create custom sketching stencil. 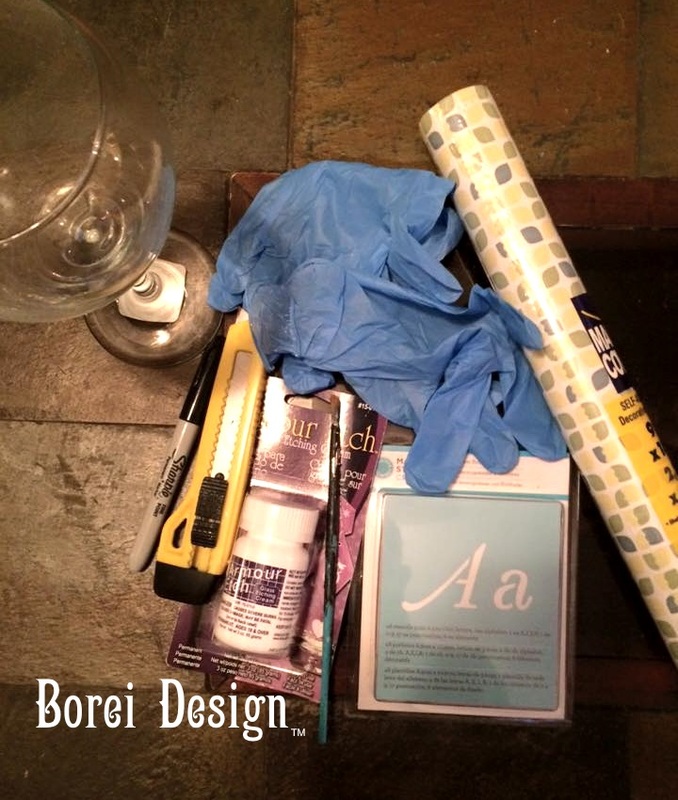 Draw out, trace or use a stencil to transfer desired design onto the shelf liner using a marker. 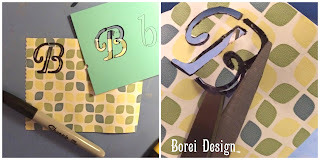 Cut out the design using scissors and/or a utility knife for tight corners to create an adhesive stencil. Remove paper backing and stick to glass in the desired location. 3. Adhere stencil in desired location on glass. Use the clean, rounded edge of the marker to rub stencil around all open areas to help resolve loose edges and ensure a tight adhesion. Do not use fingers. 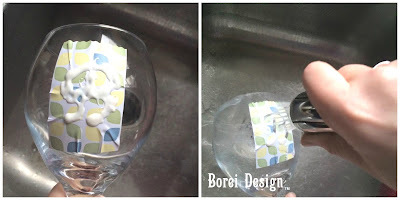 Fingerprints and debris will interfere with creating consistent etch marks throughout the design on the glass. Apply etching cream liberally using a paint brush to all open areas of the design in the stencil. Allow etching cream to sit for 60 seconds and rinse well with water to completely remove all remnants of the etching cream. 5. Wash well, kick back and enjoy your work! Hope you enjoyed this project! 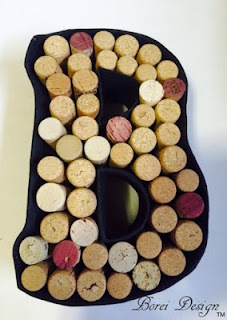 Be sure to also check out my recent tutorial on how to create a recycled monogram wine cork holder and be sure to sign up for update notices for new tutorials that I will share in the future. Some of the products I used are available at Amazon via the affiliate picture links below. I am going to make these as a gift to my daughter for her first apartment.